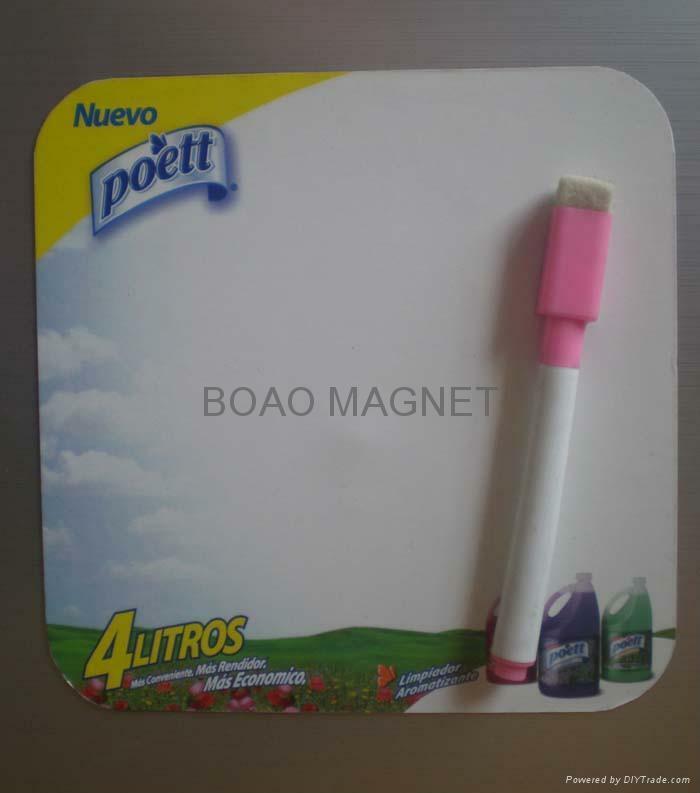 Dongyang Bo'ao Magnet Co., Ltd.
1.Can stick on the fridge or anywhere with iron sheet surface. Good item for promotionl gifts. 2.Decoration or to hold notes in office or home. 3.Can be written and drawn again and again with a dry eraser pen or a mark pen,be wiped off.